Gwen Rich’s 8GR8 Style Pieces is America’s revolutionary and unique solution driven signature wardrobe system. Developed and created to work in tandem with THE WARDROBE COMPANION. 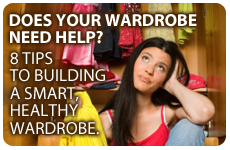 Recently launching her new product to help women build a smart, healthy wardrobe for the 21st Century. Gwen’s practical approach to taking your image to the next level can only be successful with proven solutions for the busy, multi-tasking woman of today. Her goal is to forever change the way in which you go about searching to be more beautiful. Ultimately, providing you with true and tide solutions to help you develop your personal style while reducing stress, time and costly mistakes. 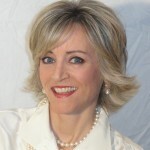 She is currently a contributing editor to Kenilworth Life, 3 P’s publishing. Providing relevant content for mainstream America with her accessible for “real women’s” approach to personal style. Gwen has spent over 20 years in the fashion/style industry. Her Career in the Image industry started as a wardrobe consultant with Doncaster, where she helped women in the misses and women’s size market to build a wardrobe. Now some 12 years later as an AICI Certified Image-Stylist her business has expanded to include multiple personal image services. Among a few of the Image-stylists who specialize in Color Analysis, helping women to understand the power of color and how to use it effectively in your wardrobe. She is a leader in the industry in the area of Wardrobe and wardrobe building. As for-mentioned she is the only image-stylist to develop and create a revolutionary product that will change the way you shop and look at your clothes forever. An award-winning business owner, Gwen has spent the last 4 years providing workshops and events to help teen girls increase their self –esteem, so they can go on to reach their full potential. As a result she has received numerous awards for her tireless efforts to give back to her community. The prestigious AICI Civility Counts Award in 2010 for her Dove Self-Esteem Workshops as well as her “Win A Prom Makeover” contest. 2011 she received two awards, the first in a leadership role on the board of directors, VP of Communications she was voted the Chapter member of the year for the AICI Chicago Metro Chapter, consecutively, AICI Gives Back award, the 2011 “Win A Prom Makeover” contest. Recently, she joined her efforts with the Village of Deerfield in conjunction with the 2012 “Win A Prom Makeover” contest, declaring the month of May as Civility Awareness month. Working together with her community on the initiative to help spread positive Civility: respect, restraint and responsibility. Gwen resides in Deerfield, Illinois with her husband, and four children. As a certified Image-Style consultant, Gwen utilizes her talents and passion for helping the teen market by volunteering her time to the “ Dove Self-Esteem Fund”. As a leader and positive role model in her community, she provides complimentary workshops for girls’ ages 8-17 to help increase the self-esteem of our teens and widen the definition of ideal beauty. Gwen recently received the prestigious 2010 Civility Star award for her outstanding service in support of the AICI Civility Counts Project and her tireless efforts to help make the world a better place by embracing the principles of civility, Respect, Restraint and Responsibility. My Mission: is to empower females with the confidence and knowledge that they matter in their own right and that their image is important. To ensure that their best image truly reflects who they are as well as whom they want to be.